Discussion in 'The Lounge' started by ultraNoob, Mar 12, 2008. Has anyone heard or tried this stuff? Unlike hallucinogens like LSD or PCP, however, salvia's effects last for a shorter time, generally up to an hour. A bunch of fear-mongering Republican hypocrites. My roommates and I tried this stuff not too long ago. Its worth trying at least once, but the trip one has depends a lot on the person. Personally ive tried it twice, and both times I felt as though as I was trapped within something, and the second time I thought the world was coming to an end. Needless to say I won't be trying it again. However some people have very pleasurable experiences with it. some girl in my class said she put some on top of her weed, and said she freaked out. I like weed on top of my weed. Why ruin good weed? Hardly even 20 minutes, but I agree with everything you're saying. I'll congratulate someone if they can find out how to turn a car on whilst tripping on salvia. I tired it. We used a vape. Worthless is the word that comes to mind. You feel really comfortable for like 15 seconds. how hot did you set it? 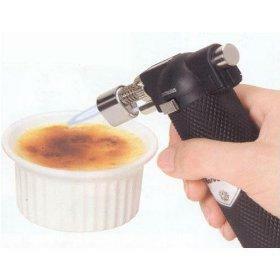 for the active chemical you want, you need one of those high powered torch lighters that burns at like 300 or 400 degrees. if you just use a regular bic, it won't work. Isn't the blue part of the flame 600deg? i can't remember the exact temperatures. all i know is the a regular bic isn't hot enough to get salvia to work the way its intended. I watched a number of stoner roommates in college learn this the hard way. Used a Volcano. Set it up to 425. I just txt'd one of my old roommates... he said that to really get the full effect of salvia, it has to be burned with a flame. yea use that. just make sure you turn it off before you start hallucinating.